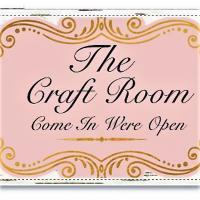 We run several different craft clubs from Card making,Stamping and Scrapbooking. We also have a small range of craft products to purchase. Situated inside the old Grain Barn at Moss End Garden Village you will find us upstairs in the Attic.